Confessions of a self-proclaimed selfie queen. The first time a stranger on the train told me I had a nice smile, I didn't believe her. Back then, I hadn't yet had my crooked teeth fixed, and my self-esteem wasn't anywhere as high as it is today. I was an ugly kid, and it took a shocking number of selfies to convince myself that I'm not an ugly adult. 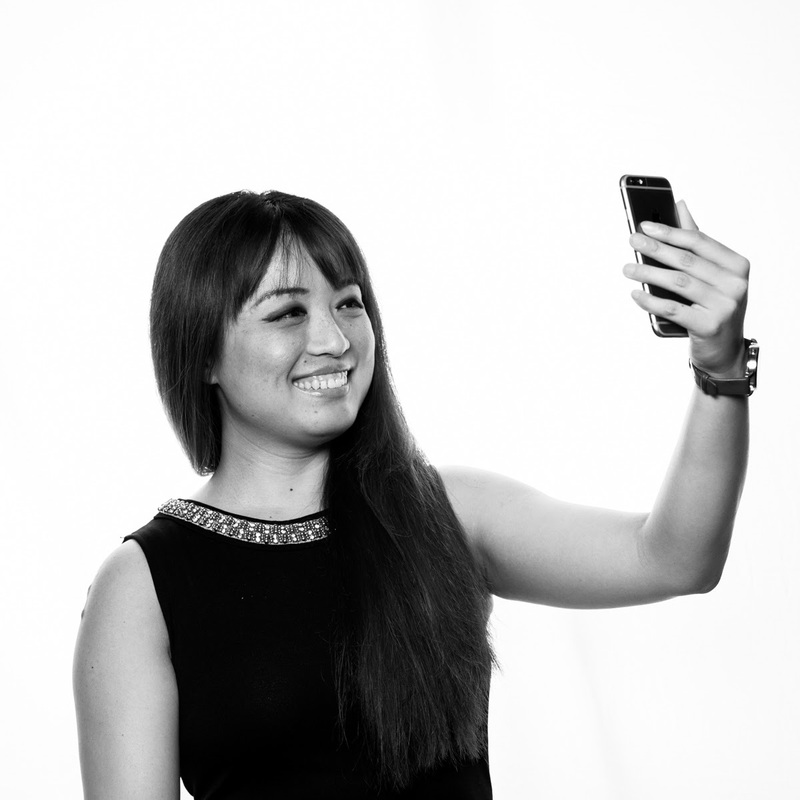 It may seem like a superficial pastime, but selfie-taking has real benefits. I'm not alone in believing there are psychological advantages here. Studies have shown that seeing a good picture of yourself can boost your confidence, while taking a smiling selfie can make you feel happier. Over time, that can improve your self-esteem. But getting selfies to look the way you want requires a very particular set of skills, skills I've acquired over a very long career of testing gadgets that are often designed to help you take better photos. We'll talk about those devices later -- best if you nail your technique first. First of all, practice, practice, practice. When you have free time at home, take as many selfies as you need to figure out what angle works for you. Whether it's holding your phone up high, sticking your chin out at a particular angle or figuring out which of your smiles looks best, there are certain key elements that even the most advanced technology won't address. There isn't a rule that applies to everyone, but in general, holding your camera slightly above your eyes will prevent the appearance of double chins. Tilting your head ever so slightly to the left or right will make your face look slimmer (if that's something you're going for), and it usually helps to stick out your chin slightly to elongate your neck. Ultimately, there are various flattering ways one can pose, and everyone's good angles are different. Your best bet is to experiment and learn what works for your face. Once you've figured out your best angles (make sure you have a few to avoid becoming a one-trick pony), you'll need to find or create the best lighting. Any photographer will tell you that light is your best friend, and that's equally true with selfies. This is something you won't have much control over if you're outside with ample natural light. But if you're in an environment where light is coming from just one direction, try to face the light source without your hand casting a shadow on you. In fact, try to avoid any shadows on your face at all. It also helps to understand the type of light you're shooting in. The best condition is natural light, specifically during the hour before sunset. Daylight is ideal for bringing out colors and details -- best for showing off a new outfit or hair color. But your pictures will look better on a slightly cloudy day than under harsh sunlight. Clouds provide a natural filter for a softer effect on your face and prevent the overexposure that can happen on a sunny day. When you're indoors, very often you'll be stuck under overhead lights that have an orange or greenish cast. In these situations, try to find a neutral light source and face it. It's also better if the bulb is covered with a translucent material like tracing/tissue paper or a light-color lampshade, since this filters the rays to avoid harshness. All the prep you do before taking a picture can be ruined by shaky hands. Sometimes, you have to hold your phone in a way that makes the trigger hard to reach. In those situations, using a voice or gesture trigger can be very helpful. Today, many phones from companies such as Samsung and LG offer voice commands to take photos when you say prompts like "Cheese" or "Smile." You can even ask Siri or the Google Assistant to "take a selfie" (though Apple's software is useless since you still have to press the shutter button yourself). Activate these, as well as gesture triggers, to avoid introducing blur to your image when pressing down on a physical button. If your phone has none of these options, a good workaround is setting a short timer, pressing the shutter button, then framing your shot. You can also get a mini tripod for your phone, as well as a remote control, to take perfectly still selfies. I'd recommend a selfie stick, because they can be very useful in preventing blur, but they've been banned in so many places (I've had them confiscated at various security checks) that at this point they're not worth the investment. If you're serious enough about selfies to consider buying tools to improve them, the options run the gamut from lights to standalone cameras. Portrait photographers use a ring light to avoid their cameras casting a shadow on their subject's faces while creating a sparkle in their eyes. The phone equivalent would be a selfie case, like the ones from LuMee or Allure/CaseMate. They add bulbs around the screen of your phone that you can turn on when you're in a dark environment or if you just want a glamour boost. Both the LuMee and Allure options have their strengths -- the LuMee Duo's lights are more flattering, while the Allure has a fold-out ring that makes for better grip and doubles as a kickstand. I prefer the LuMee Duo (and the Kardashians use it, too) but I wish it weren't so hard to pry off your phone once you put it on. I haven't tried other options like the Ty-Lite, unfortunately, so I can't vouch for it. You can also try a clip-on selfie light like the Chatlight or a plug-in flash like the iBlazr LED if you don't want to swap out your existing phone case. I found both those options effective (if a tad blue) during my testing, but I don't like carrying additional accessories on me, so I prefer the cases. Of course, strong lights like that can cause oily faces to look shiny, so make sure you blot or powder your skin before snapping a shot. If you don't carry blotters or powder on you, even dabbing your forehead and nose with a napkin or tissue will help. Some accessories let you get some distance from the camera, so you can see more of yourself in the picture. A mini tripod is a good way to set up your phone far away, but a camera accessory that's controlled by your phone has the added benefit of giving you a preview of your shot before you capture it. Try this webcam-like toy called a Snap Petz that you can set anywhere to take your picture. 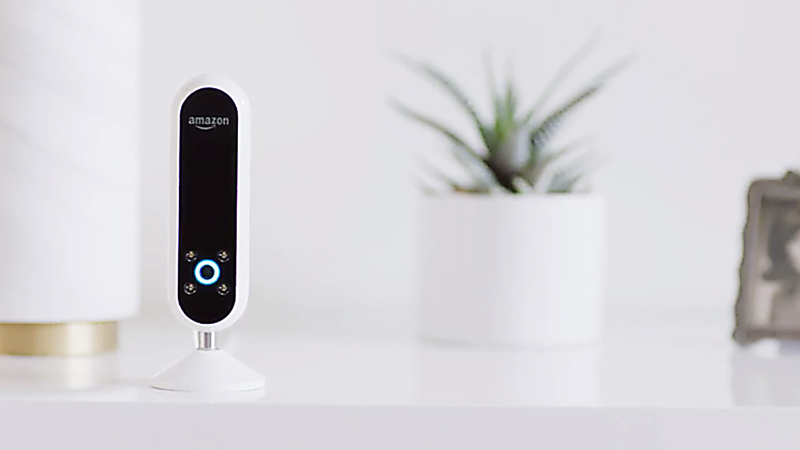 You may also consider the upcoming Amazon Echo Look, a voice-controlled camera that takes full-length pictures or short videos. The Echo Look also has built-in LED lights, and also senses depth to apply an artificial background blur so you (and your outfits) stand out. The Echo Look still isn't available, though, and we've yet to test it. If you have money to blow and are happy to be extremely extra, go ahead and take a drone selfie. These flying cameras can recognize your face and follow you as you wander around a picturesque field or mingle with guests at a wedding reception. There are plenty of options, and they typically cost hundreds of dollars. Drone cameras are excellent for aerial videography, capturing stunning landscapes that add drama to home movies and indie films alike. We don't recommend spending so much just to take an impressive selfie, but if you happen to get the chance to play with one, definitely make full use of it. Be careful to keep your eye on your drone, though. As our UK bureau chief Mat Smith learned, the possibility of accidentally decapitating other attendees or yourself is always looming. Our favorite is the Hover Passport drone by startup Zero Zero, which Snap Inc is rumored to be buying. But at $550, the Passport is a pricey investment. There are plenty of decent alternatives for less money, including the Parrot Mambo FPV, the Yuneec Breeze 4K and the DJI Spark. After you've taken the picture, there's more you can do to improve your selfie. Aside from using your built-in Photos app or Instagram to tweak highlights, shadows, warmth, saturation and more, you can also consider fixing your pictures with selfie apps. These let you make fixes as subtle as smoothing your complexion or as dramatic as giving yourself a new look altogether. Discussions about misrepresenting yourself aside (a good practice when editing your selfies is to declare if you've done so), a virtual makeover can entertain your friends and followers. You can try out a different hair color, add thick eyelashes and see what your pals think. My most popular selfies, as determined by number of Instagram likes, have been the ones where I've experimented with wild looks. 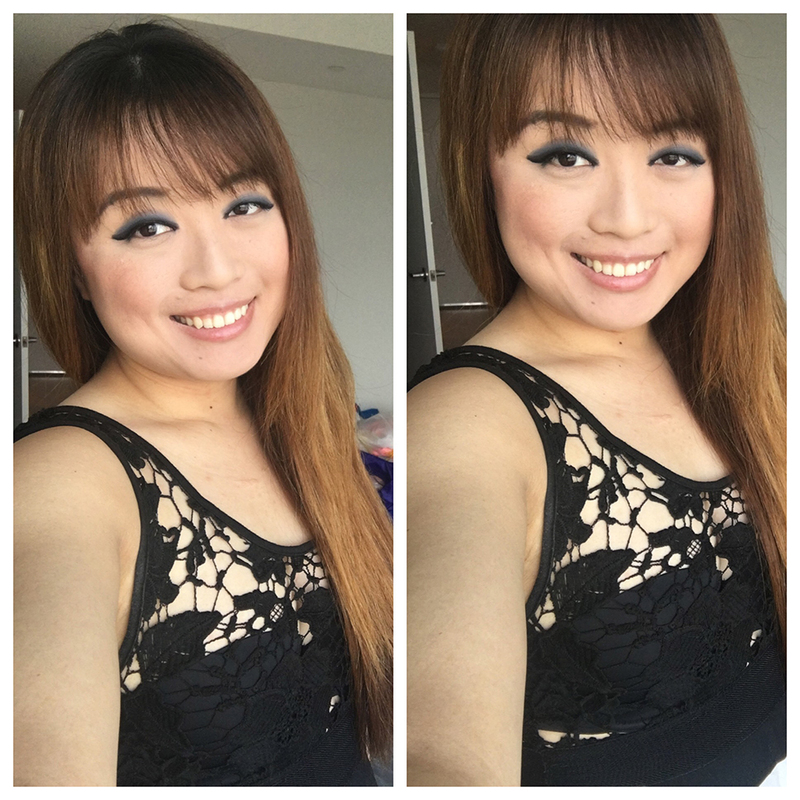 I achieve most of these with CyberLink's YouCam Makeup app, which not only lets me slim my face, apply digital makeup and smoothen my noticeable acne scars, but can also change the color of my eyes and hair for a dramatic result. YouCam is excellent at detecting my facial features to apply things like eyelashes, eyeliner or blush, but it struggles to recognize hair. You'll have to manually paint an outline of your hair for the app to correctly identify it and change its color. After I'm done with YouCam, I often use another app called Meitu Xiuxiu to add an overall glow to the picture. 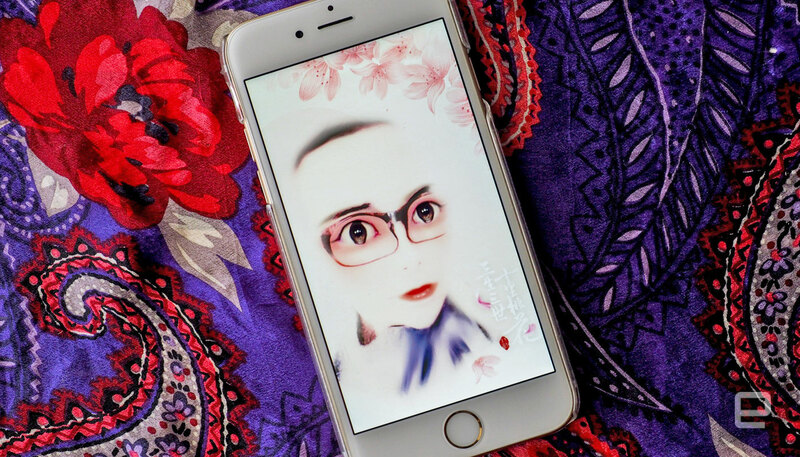 You might recall Meitu for its ethereal anime-esque selfie filters, but the app offers so much more. You can stretch yourself to appear taller, turn yourself into the cover star of a magazine or add stickers, doodles and text. I usually use Meitu for its beautifully rosy filters that make Instagram's options look garish by comparison. There are many other apps that let you edit your face, but I've stuck with the above two for years because they're the most full-featured. For fun, I sometimes use an app called EditLab to add a double exposure effect that blends another picture on top of my selfie, which creates a romantic effect. I also like Snow for its fun Snapchat-like face filters, that superimpose my face onto a cartoon schoolkid or a steaming hot shower. It's a good alternative for those who don't have or want Snapchat but would still like to play with photo effects. Remember, though, these apps are really more for fun than for achieving perfection; don't go overboard trying to look like someone you're not -- your friends can tell when you don't look like yourself. Now that we've gone over the technical skills you can use to improve your selfies, remember to have fun and not try to perfect your pictures for others. Our digital world can get toxic sometimes, and even the best selfies will be subject to scrutiny and ridicule. Even Kim Kardashian gets sensitive about unflattering photos and the subsequent insults. Ultimately, these your pictures are for your own pleasure and entertainment. Experiment, strike a weird pose or share an "ugly selfie" with your friends -- if it makes you happy, it's a good selfie.